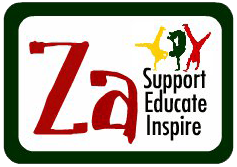 Za Foundation believes passionately in global education and the huge benefits one can derive from knowing about, collaborating with and learning from another community. After all, we live in a global world, we derive most of our daily needs from a global market, therefore we need to work in communities where young people can build a better future for themselves by working together. This belief helps to inform ideas, values and skills to help them in their future lives. Therefore we help facilitate school links. In primary schools, they share letters, drawings and information about their own environment, schools, homes, families and friends. In secondary schools they may share responses to literature, explore their shared responses to global and local issues or engage in collaborative, curriculum-based projects. All of these activities help young people learn about a different community and break down prejudices and mis-conceptions.